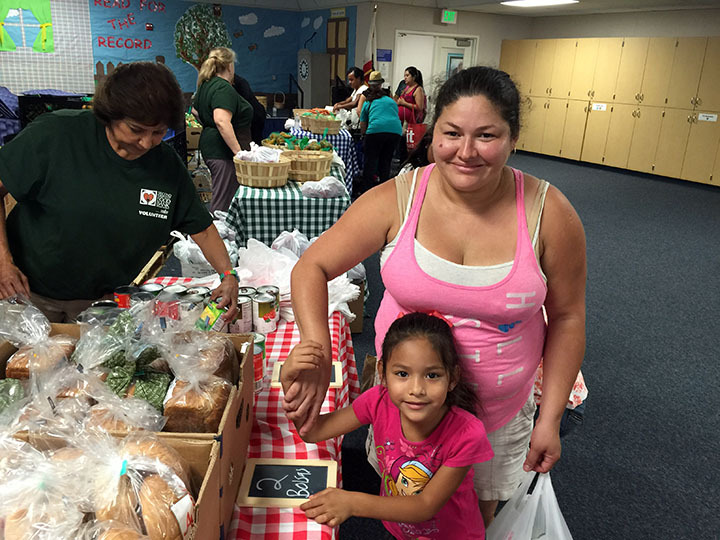 On Wednesday, Oct. 14, Topaz Elementary School held its second food distribution event of the year. 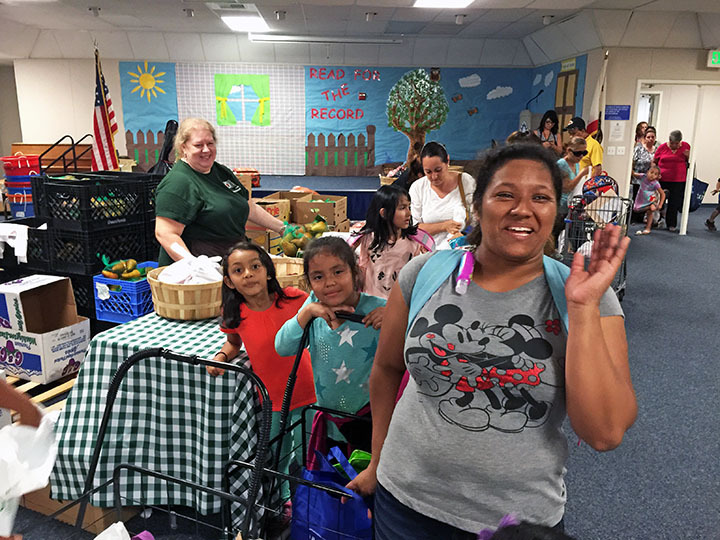 This collaboration with Second Harvest Food Bank of Orange County provides families with fresh produce on a monthly basis. 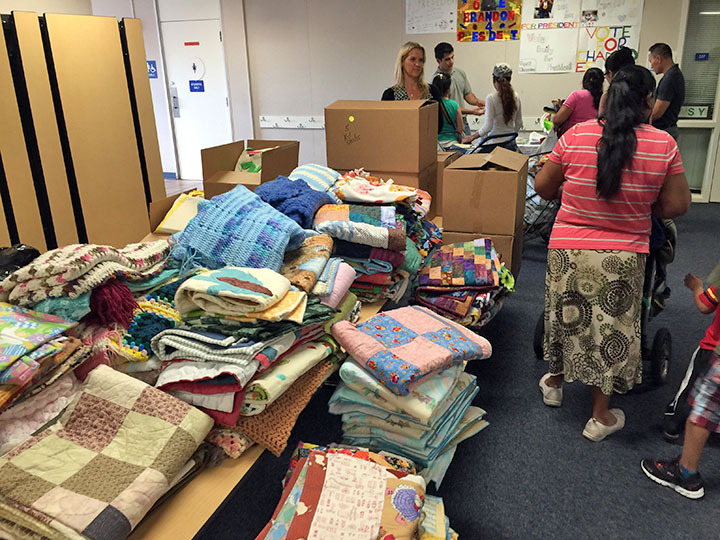 This month, families were also treated to one handmade quilt or blanket. 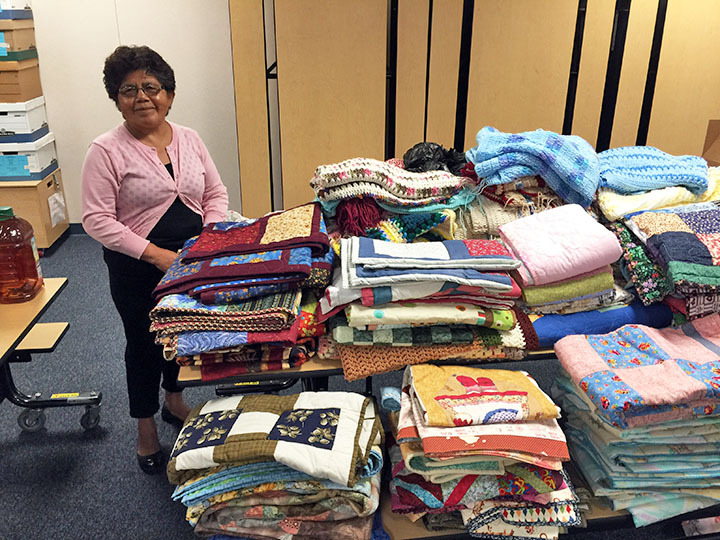 The quilts and blankets were provided by the Orange County Quilters Guild, which were then re-donated to PYLUSD from the Homeless Intervention Shelter (H.I.S.) House shelter. Board of Education Trustee Carrie Buck is the director of H.I.S. House. 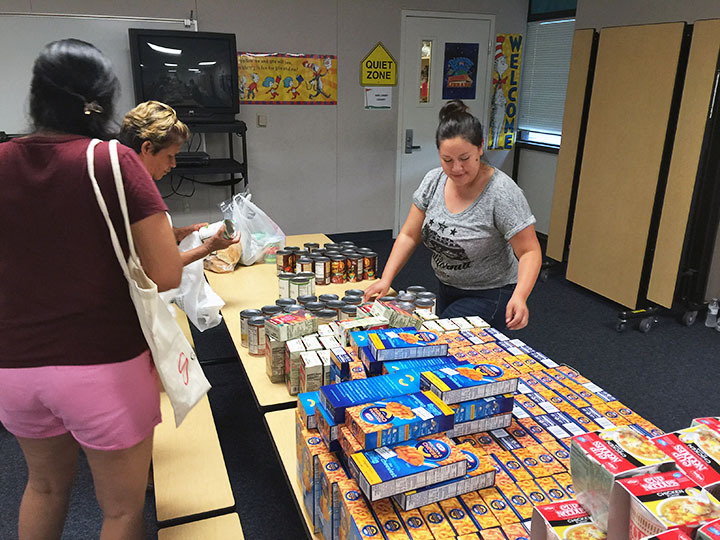 Additionally, families received canned and packaged food items, which were collected by district administrators at this year’s Management Symposium at Yorba Linda High School. 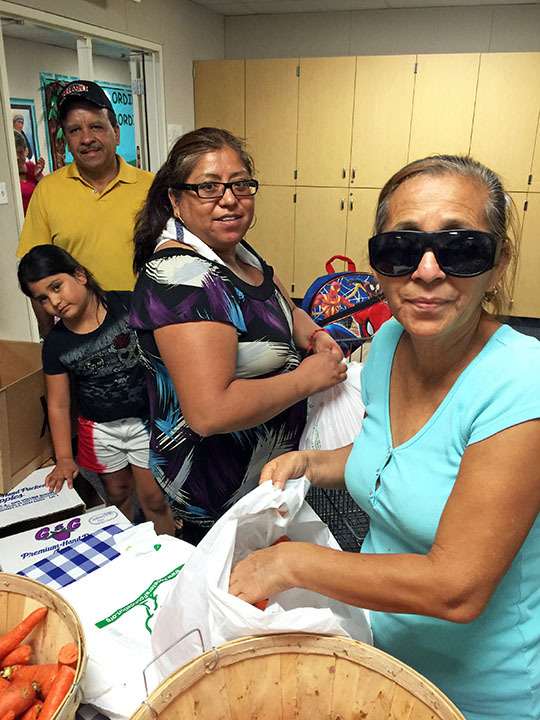 Finally, kindergarten and first grade students received bags full of school supplies donated by district community partner, “K to College,” a nonprofit organization dedicated to providing school supplies to low-income children across the state. 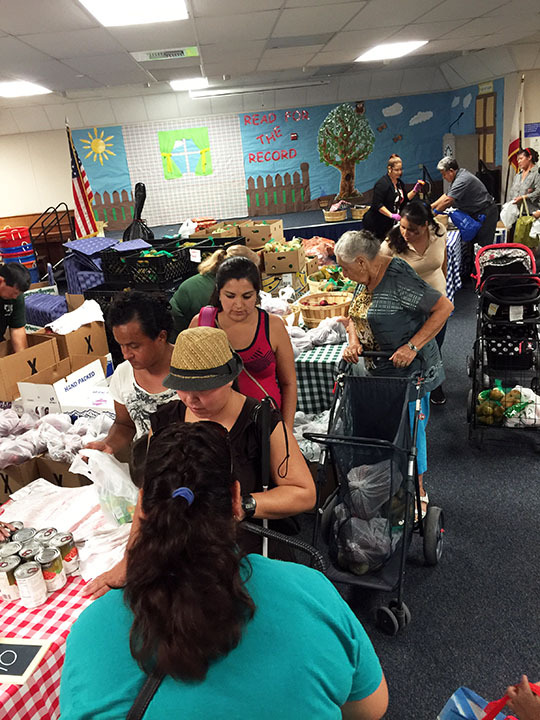 Thank you to all donors and volunteers, including the Yamaguchi family who consistently help us out on distribution day! 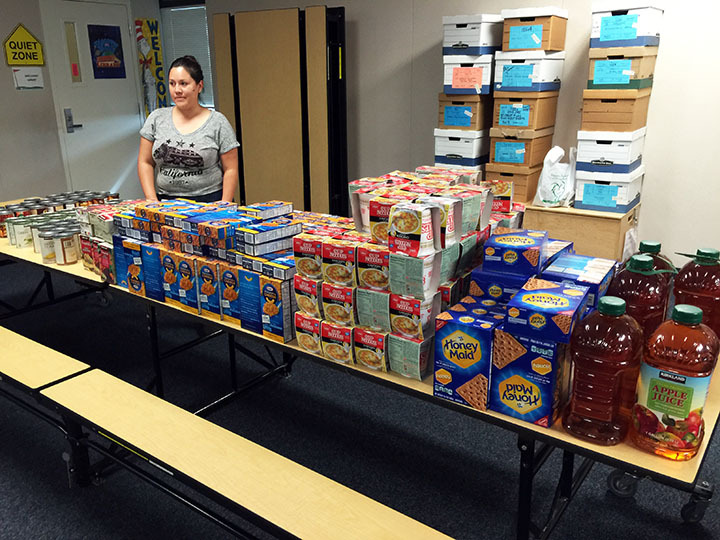 Be the first to comment on "Topaz Elementary hosts food distribution event"